The truck and trailer containing the number 44 Team Xtreme Sprint Cup race car driven by Travis Kvapil was stolen out of a Morrow, Georgia, Drury Inn parking lot where the team was spending the night. 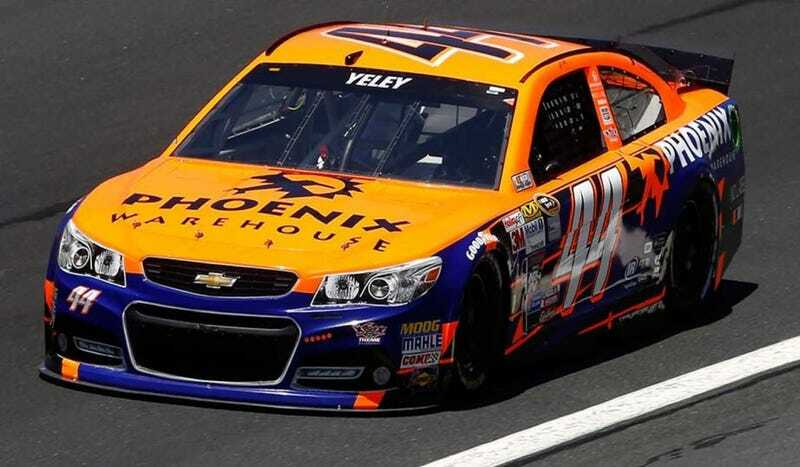 Kvapil was scheduled to drive the number 44 at this weekend's race at Atlanta Motor Speedway, but unfortunately, with no car to race, they were forced to withdraw. This was supposed to be this season's Sprint Cup debut for Kvapil. Reed Sorenson drove #44 for the Daytona 500, however, he is driving for another team this weekend for the Folds of Honor QuikTrip 500. According to USA Today, the police report values the car at $250,000. Also inside the trailer was a backup engine valued at $100,000 and and $17,500 worth of other equipment. "All we know is it was a silver Jeep," team owner John Cohen said to USA Today. "One guy got out and they pulled off together." The team plans to enter next week's race at Las Vegas Motor Speedway. The team's hauler was safe and sound at Atlanta Motor Speedway, however, the car was being taken separately this time. If all else fails, they will have enough time before the Las Vegas race to put together a new car.